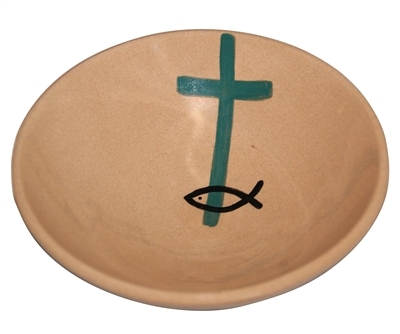 The Blessing Bowl - Only includes a single 4 inch beautifully hand-crafted ceramic bowl which can last a lifetime. The blessing bowl is sized to contain several of the gifting stones that reflect the special milestone events in our lives. Over time the bowl can hold the stones and mementos that tell your faith and life stories! Place the bowl in the family room, by the dinner table, or next to the bed, any place you might see it, and reflect on the many milestones in your life. This simple bowl filled with stones is a perfect reminder to share our faith stories with our families, and an excellent way to begin meaningful conversations with guests. This blessing bowl is a wonderful keepsake to gift to friends, family, and congregational members for special events and occasions. The 4 inch ceramic bowl is individually made, hand-painted, and glazed by artist Dawn Deines-Christensen.